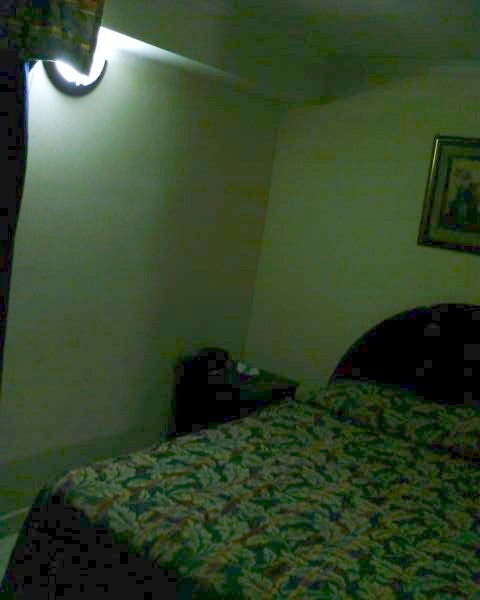 A picture of the hotel room. I backed all the way into a corner and held the camera above my head to get this. There's a bed, one dim light, and about two feet of space around the bed. One dresser. Nothing else. What do you want for thirty dollars?